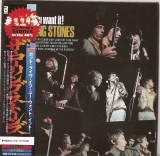 Japanese Paper Sleeve Mini Vinyl LP Replica CD - Rolling Stones (The) - UICY-93022 - Got Live If You Want It! US only release. 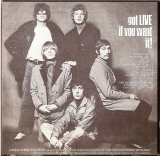 Officially their first live album. Documents the 1965 tour. This mini lp was included in the Limited Edition Their Satanic Majesties Request Box which was issued by Disk Union on 2006-03-16 containing eight mini lp titles and came with 6 promo obis. It was also included in the 2007-12-04 Aftermath (UK) Box.